Direct-lit ceiling panels work by placing the LED light sources at the back of the panel. Such lights are called direct-lit or back-lit panels. The light will project light forward across the full expanse of the light panel from the front. This is similar to a torch light when you flash the light on a wall from a short distance the light spot is smaller but as you move away from the wall the spot gets bigger illuminating a larger area. But at the same time it is using the same amount of energy whereas brightening sizably a bigger area. The same concept is used in the direct lit LED panels, so lesser LED’s are required in this type of panels when compared to other lighting technologies like edge lit panels and CFL lights. Direct-lit LED bulbs can be placed over a large area to illuminate a light panel with various shapes and sizes. Such light sources are flexible, user-friendly and easy-to-repair. On the other hand, this type of light panel cannot be built as thin as one may desire because a certain distance between the SMD LEDs and the panel is required to enable an overall uniform and bright illumination of the entire lamp. In order to achieve an even light amount distribution, the panel light needs to have a thickness of about 30 mm in a direction perpendicular to the light panel. Edge lit LED panel lights are constructed using extruded aluminum housings and ends. Their optical systems retained use high efficiency PMMA lighting extraction light guide plates and diffusers. They also utilize PMMA light-guide plate technology as well as nano-grade diffuser technology which make them extremely energy efficient and effective in lighting. This optical system helps in ensuring there is smooth lighting distribution. Edge-lit LED panel lights place the LED light sources at the side of the panel with light beaming into a light transmitting/guiding medium that re-directs the light to the viewing surface. The distance between each individual SMD can be adjusted to give various light intensities and uniformity, thus provides precise light control, uniform shadowless light and high optical efficiency in general lighting applications. Their slim profile makes them the ideal elegant LED lighting fixtures for offices, hospitals and schools among other commercial and industrial LED panel applications. Direct-lit ceiling panels are still in the market because they produce adequate light. They also require minimal installation depth. 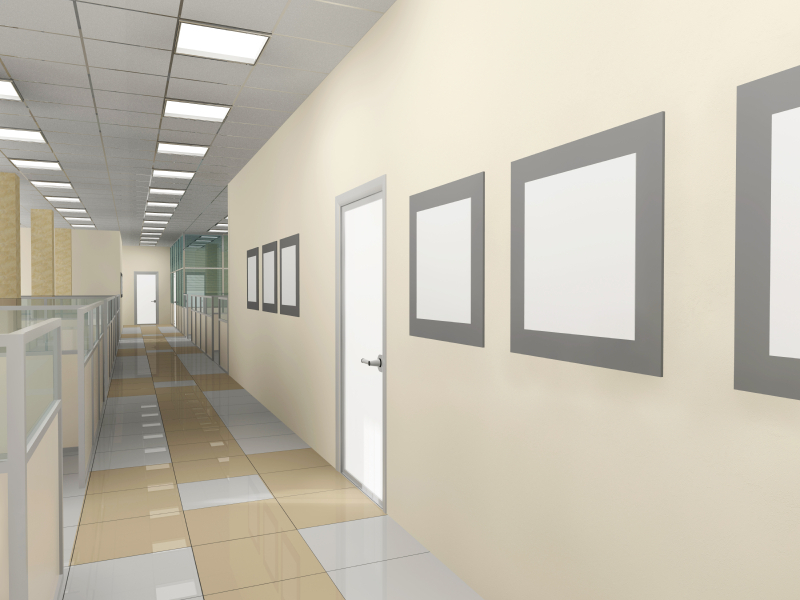 This is one of the main reasons why they are the most popular types of ceiling panels in schools, hospitals and offices. It is important to note that Direct Lit ceiling LED panels are available in different sizes and color temperatures i.e. 1′ by 4′, 2′ by 2′ and 2′ by 4′ inch sizes. The panels are available mostly in warm white (3500k) and daylight (5000k) color temperatures. In terms of LED fixtures, the ceiling panels are available in 45 and 60 Watt fixtures which enables uniform/even light distributing creating stress-free environments. The direct-lit panels consume less power as compared to their edge-lit counterparts. Edge-lit LED panel lights designed for drop-in ceilings are very popular today, they offer better light performance than the direct-lit type. In terms of appearance, edge-lit LED panel lights are thinner as compared to the direct-lit lights because the SMDs used in them are placed at the edges and not at the back. However, edge-lit LED has a uniformity problem that patches of dark regions can result because the center portions of the panel are too far from the edges and light intensity decreases significantly as the light travels over extended distances. Moreover, edge-lit LED panel lights cost more.